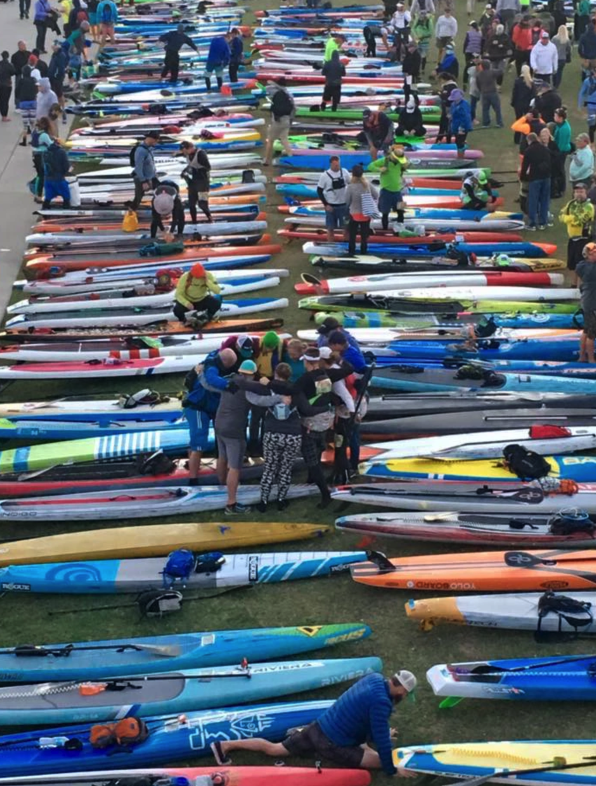 JD Davies at Waterwalker introduced the outrigger paddling world to The Columbia River Gorge 20 years ago, since then it has become a paddling destination with two major races and a growing number of clubs and paddle sports. 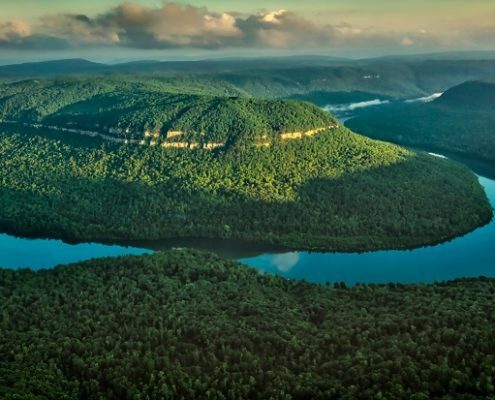 Now, Jeff Schnelle of Paddle Dynamics is introducing us to another ‘Gorge’, The Tennessee River Gorge. 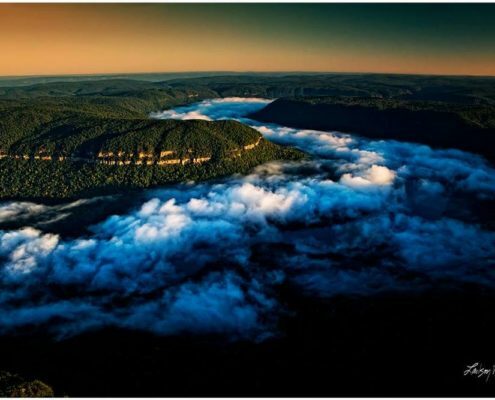 Just about catty-corner to the Northwest in Eastern USA is the Tennesee River. 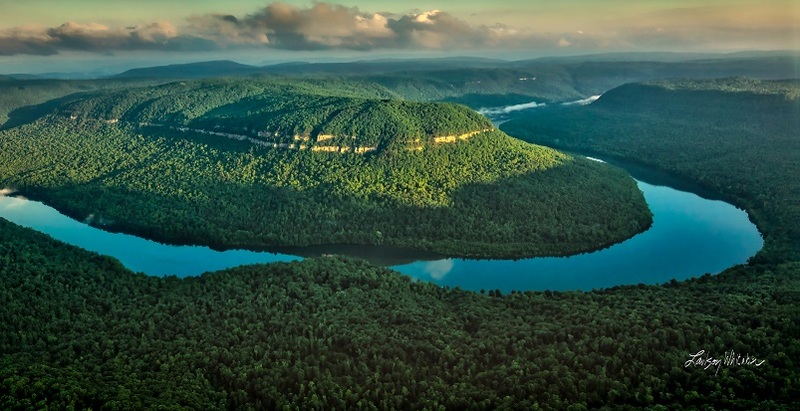 652 miles of freshwater that winds through the state into the Cumberland Plateau, literally. 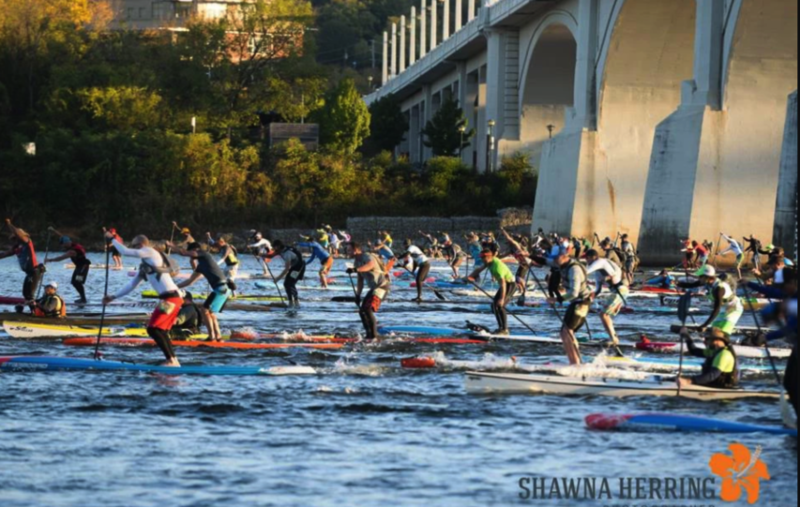 Carving into the Platueu to create a 31-mile area known as the Tennesee River Gorge in Chattanooga, Tennessee. 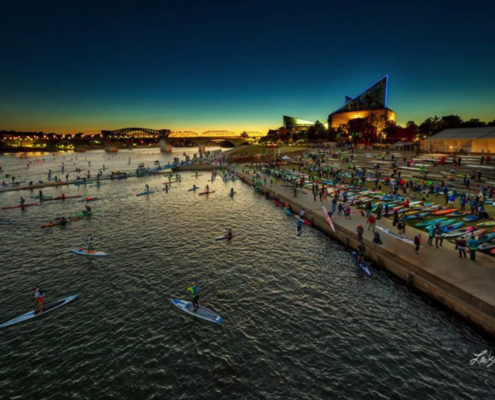 It looks like we have another event to add to the US tour of beautiful places to paddle, and I can’t wait to get there myself. 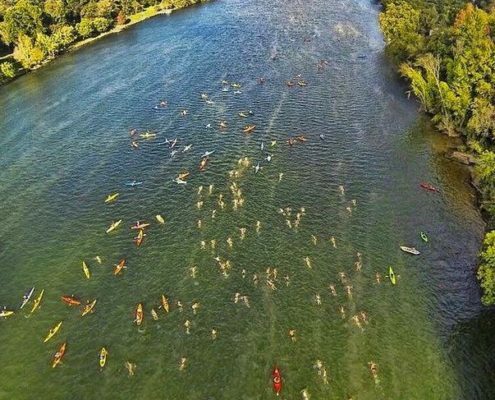 With stunning natural surroundings, the river was an ideal race course waiting for the right person to paddle along and make it happen. 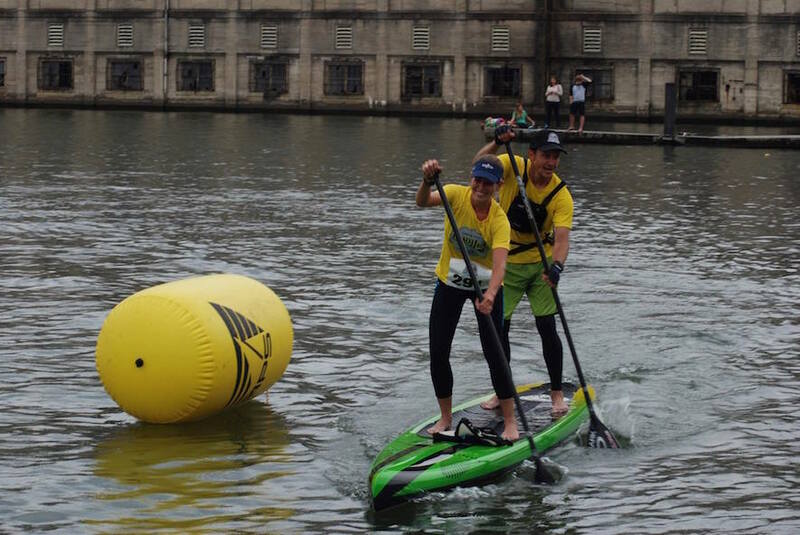 Ben Friberg (pictured left) was just the paddler to do that. 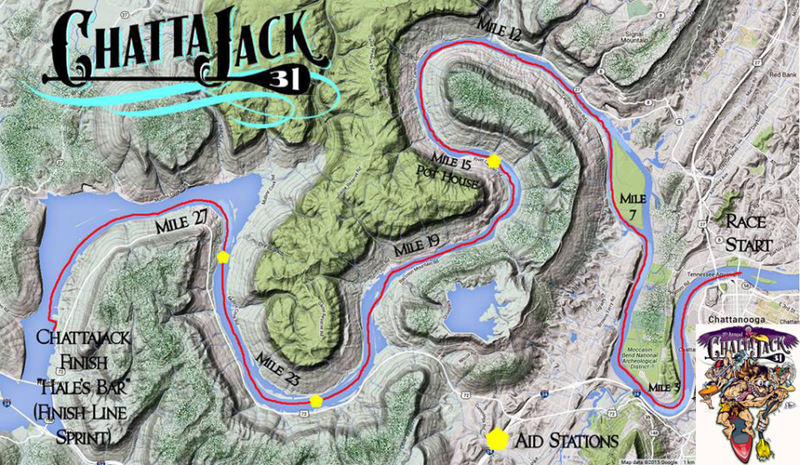 In 2012 he launched the Inaugural Chattajack 31. 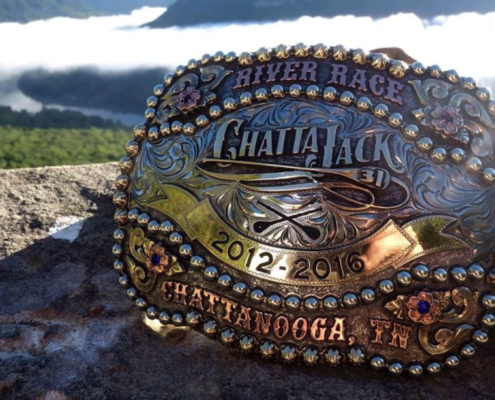 -I can’t help but think of a certain beverage when viewing the branding, although the ’31’ has nothing to do with sour mash or whiskey barrels, but rather the mileage of the course. 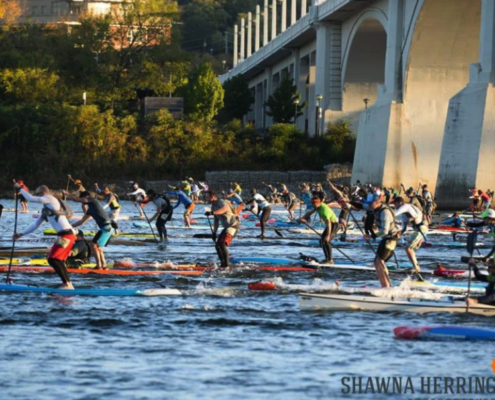 Paddler by day, jazz guitarist by night, Ben invited some close friends to participate in a low key, grassroots, point to point race in a stretch of river that is one of his favorite runs and right in his backyard. 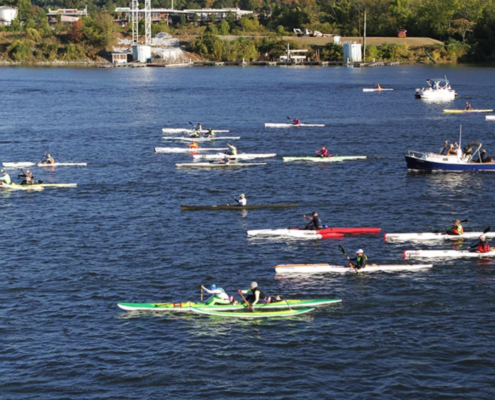 From 30 participants in its first event, to now hosting almost 600 entries in its 5th year (coming up October 28th). 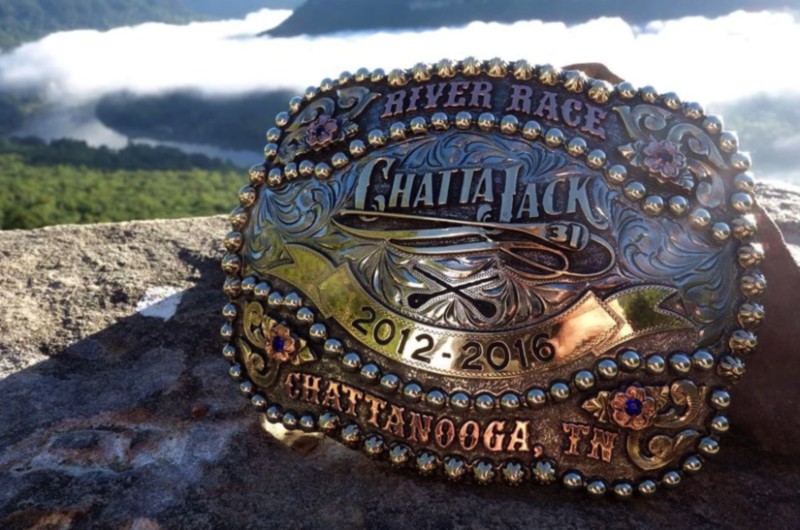 The Chattajack race starts in downtown Chattanooga, travels through the Tennessee River Gorge, and ends at Nickajack Lake. 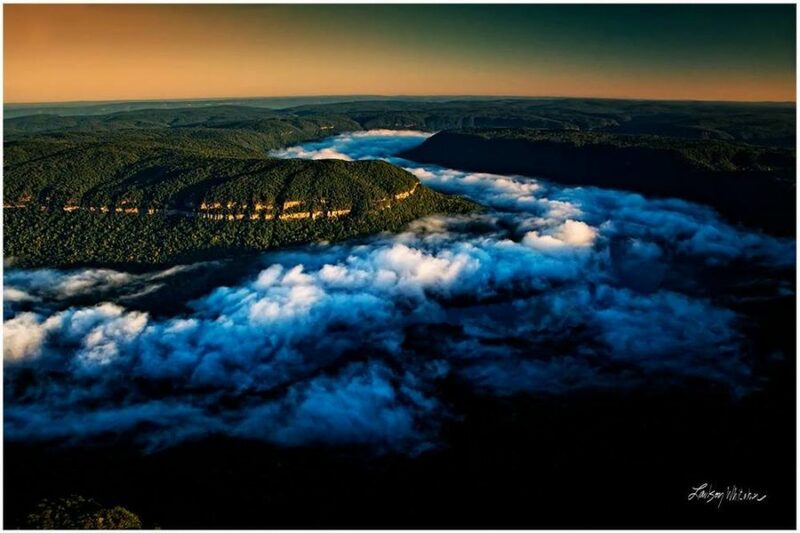 The winding 31 mile downriver course boasts stunning views and countless bends -some of which are 180 degrees. 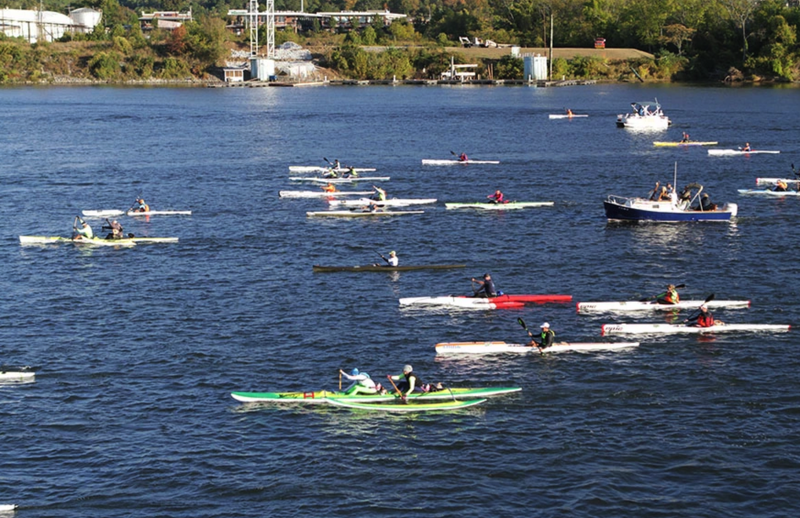 The conditions are variable, the current is smooth and flowing with the course (downriver). 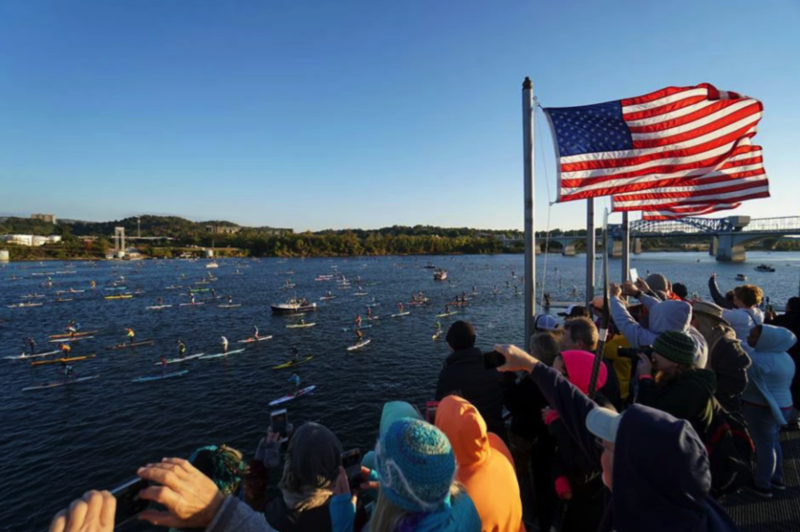 With the long course, this event draws out the top competition and an enthusiastic community of paddlers. 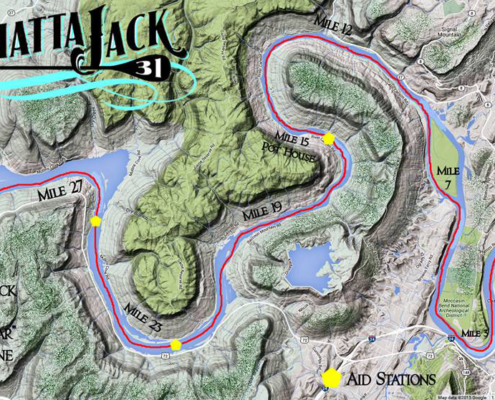 Expect to encounter tons of stoke, camaraderie and southern hospitality among the athletes, volunteers, and organizers. 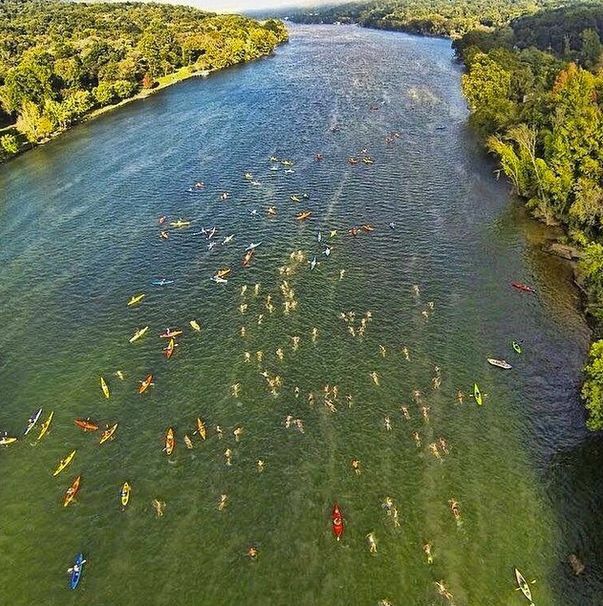 The feeling of remoteness and connection to nature will stir your soul along the course while a fun and spirited award ceremony awaits you at the finish. 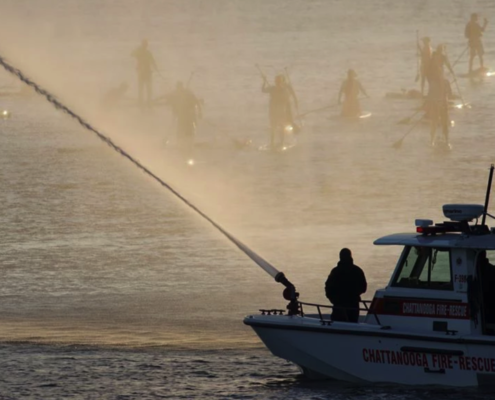 Chattajack is a canoe, paddleboard & kayak race unlike any other. 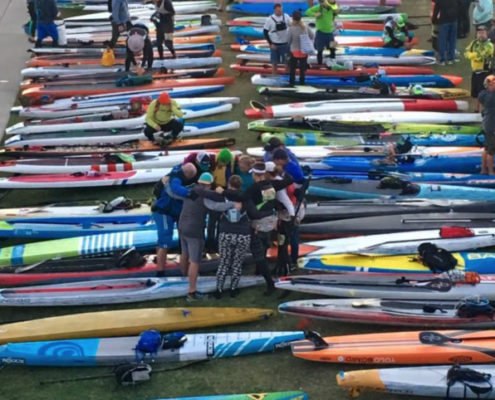 It is one that celebrates the effort a paddle athlete makes in the pursuit of going the distance. 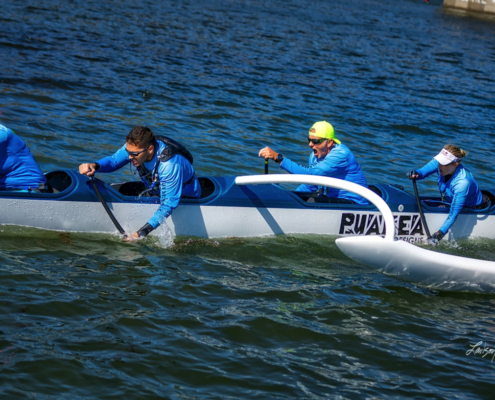 Fueled by the passion of being on the water, these individuals love to dig deep, testing their personal limits while witnessing the beauty of The Gorge. 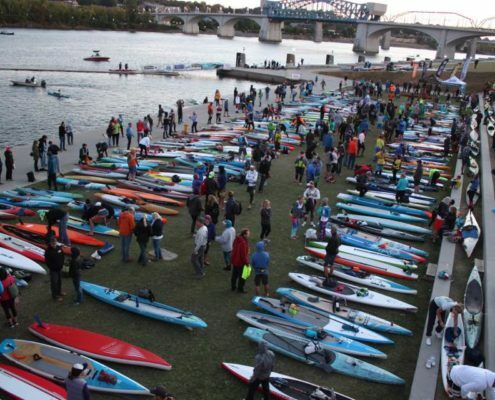 “The race is open to SUP, Prone, Outrigger Canoes, Surfskis, High-Performance Kayaks and marathon canoes. 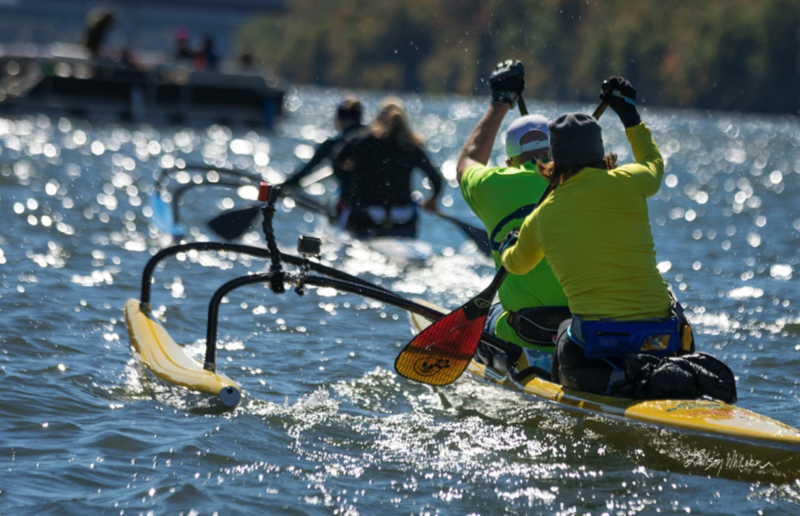 Of these listed there are a multitude of divisions including single, or tandem, as well as teams of three and six” says Ben. 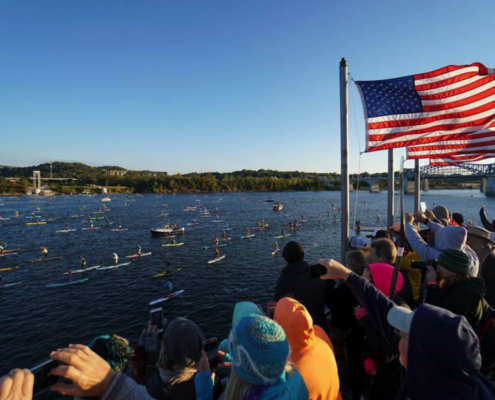 What makes this race really great are the volunteers who go out of their way to make it an event you won’t forget. 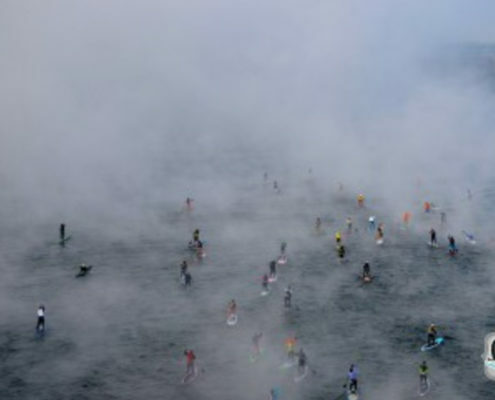 Most of which also participate in the race if they can. 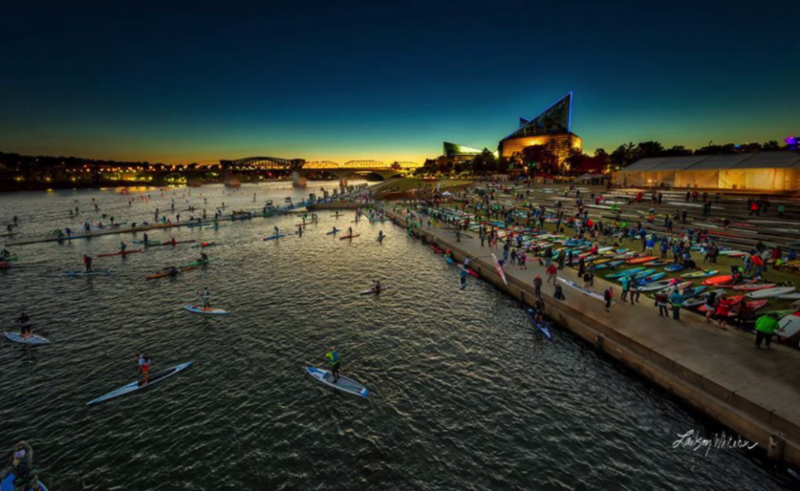 Chattanooga is a great place to visit with a rich history, friendly people and has been voted best city for outdoor enthusiasts to live in the USA, not once, but twice! 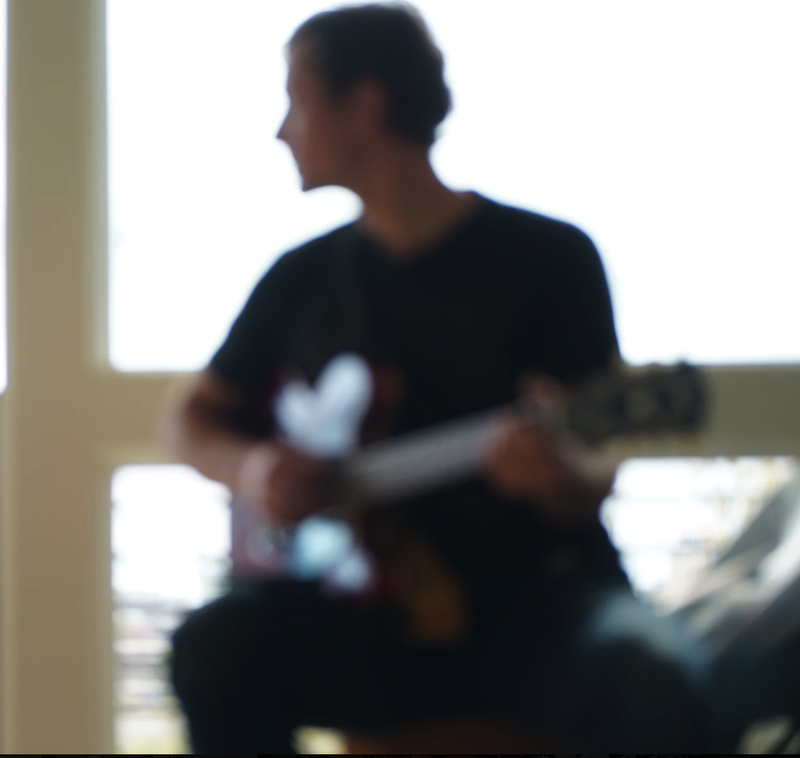 Ben & Kim Friberg put their passion and skill into organizing this event, as is evident by its success. 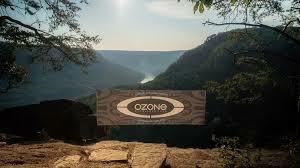 Jeff Schnelle represents Ozone in the Midwest US and got ozone involved. 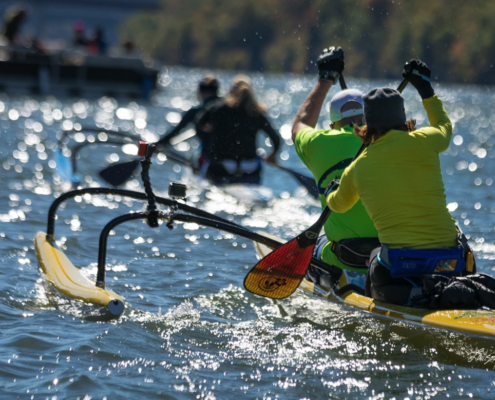 Outrigger Canoe is still a fairly new concept in the Midwest and landlocked states, but paddlers that find it discover it’s beauty and culture. 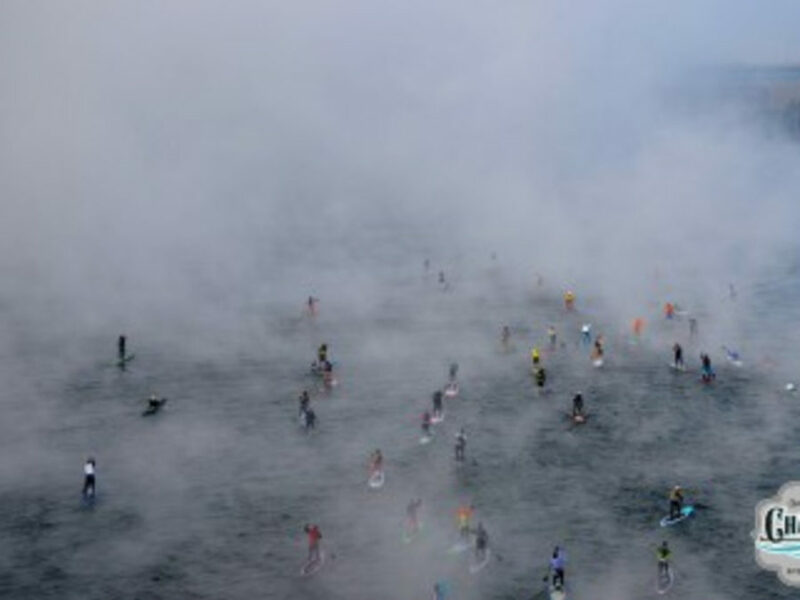 Our mission is to connect more people with the sport and continue to share the stoke, so we are excited to sponsor this event and community. 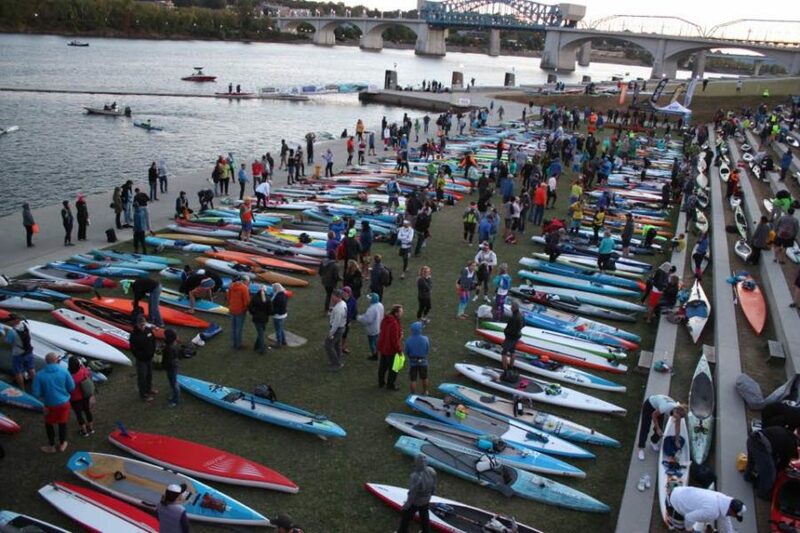 Kai is currently in Tennessee and is participating in the event for the first time. 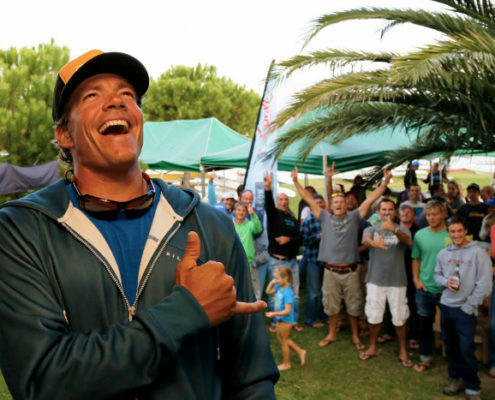 Kai will be on site to share tips from his vast knowledgebase as a competitor and canoe designer. 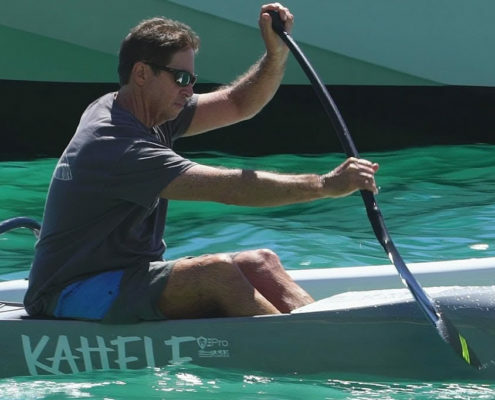 Check in with Jeff Schnelle about clinics and demos of Kai’s latest canoe designs. 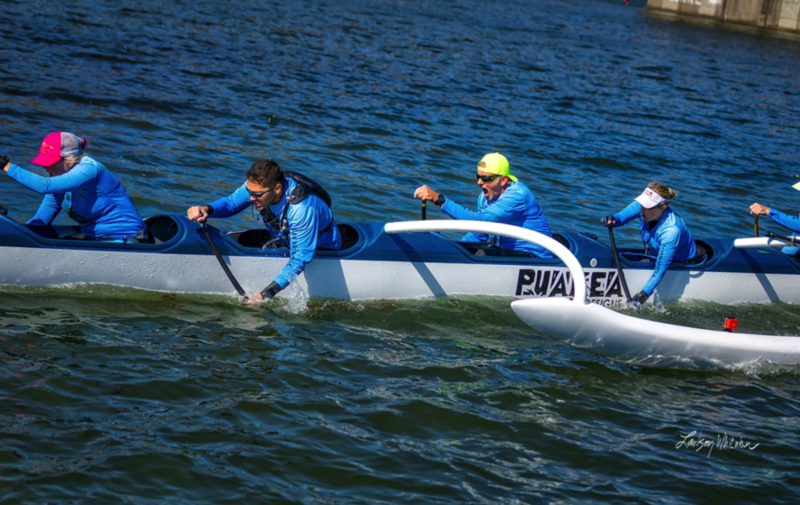 The Gemini OC2 (two-person outrigger canoe) and the Ares OC1 (single person OC1 canoe). 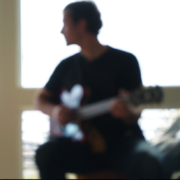 John Puakea is also in town for the ChattaJack and will be holding clinics and showcasing his latest OC1 design, the Kahele. 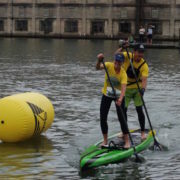 If you are interested in learning more about Outrigger Canoes, Jeff from Paddle Dynamics and Ozone Midwest has a sweet mobile setup and travels to many paddling events with demo boats, if you have the chance to connect with Jeff he can give you the low down on the OC1 and OC2 canoes. 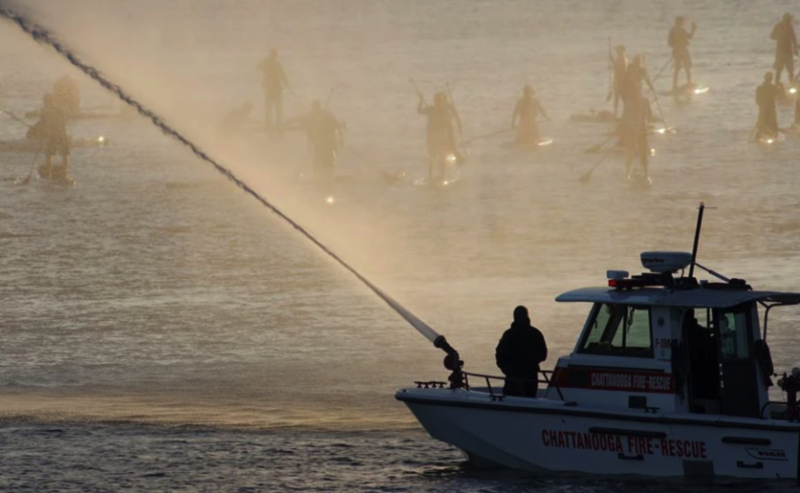 Good luck to all the paddlers at the ChattaJack race, paddle as smooth as Tennessee Whiskey and as strong as moonshine!